Lets start again! in Berlin, Fontanelas and Jerusalem! Friends of music! 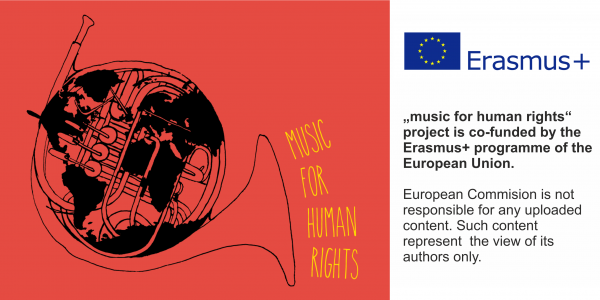 It’s time: “Music for human rights” goes into the next round. Anyone who has been there in the last few years knows what that means! Love for music meets colorful diversity. Heart warmth meets strained nerves from hours of rehearsals in the stuffy cellar hole. Strangers become like-minded and like-minded friends. But what do you actually do at “Music for human rights”? Very simple: 42 people from 6 countries come together and create three project bands. Professional musicians are mixed with amateurs and write, compose and study together 2 songs, which are then performed to the final concert, on a stage. Participants are Bosnia and Herzegovina, Germany, Israel, Italy, Portugal and Serbia. Each exchange also has a specific theme under which the bands orient themselves. This time it is about human rights and your “wish – Europe”. What should the world look like in which we want to live? What challenges do we have to struggle with now and in the future and how can our contribution to a peaceful coexistence look like? So if you want to get to know new people, countries and cultures and if the stage air appeals to you, then contact us at Info@roter-baum-berlin.de and write us a short mail where, when and why you want to participate (multiple registration possible). Previous Post So, friends-cue the magic!